A month and a half ago, I shared a bit about my personal journey - as I am a WIP. 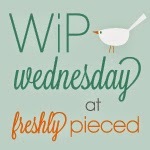 This past week, I have hit a few more milestones / completed a few goals - - - so what better time to share that with you than another WIP Wednesday?! 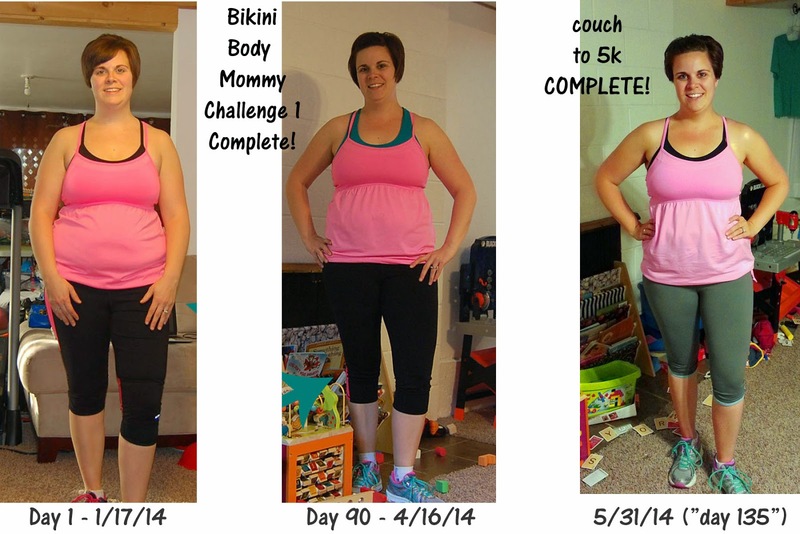 May 31, 2014 I completed my last run for the couch-to-5k training program - and 9 weeks prior I was sure I wanted to attempt it, but not so sure about my success. 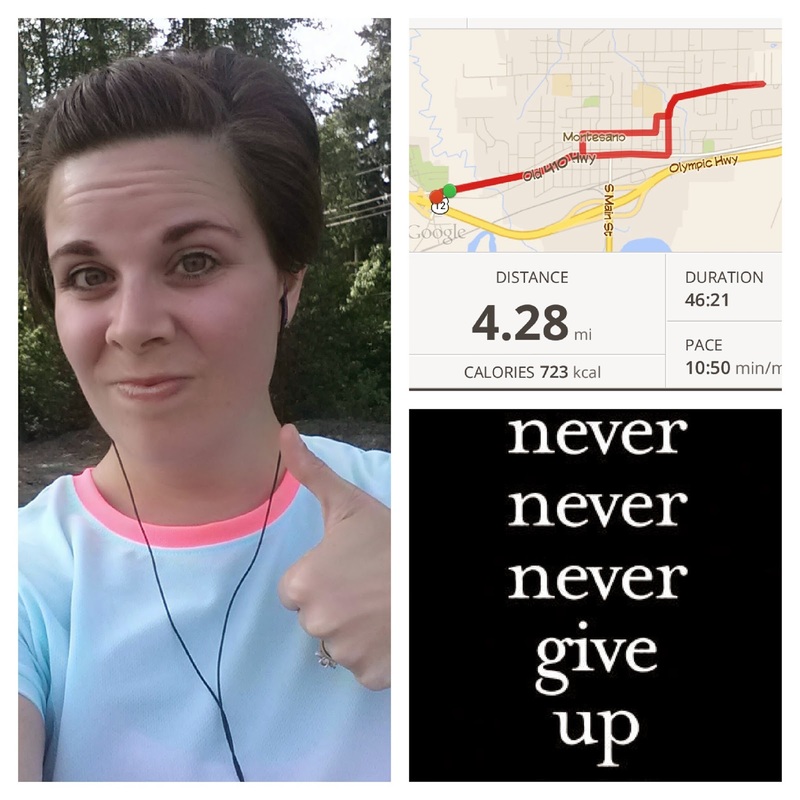 That day, I ran 4.28 miles (not the 3.1 (5k) plus warm up / cool down "required" by the program). One friend kindly pointed out "you realize you ran more than a 5k, right?!" :) Yes! Was it purposeful? Partially..... I had plans to run at least the 5k - maybe a bit more. But I also drove and parked my car just outside of town and then ran through our small city - and got a bit farther away from my car than I realized - - - so I had no choice, I had to run back to it! The feeling of accomplishment - it's empowering! I was NOT a runner 9 weeks ago. I hated it. I was making HUGE strides in my fitness goals - - - using awesome HIIT workouts / strength training..... but running? Yah, right. But when others tell me "yah, right" I see it as a challenge - so I finally decided it was time to see my own doubt as a challenge. After that run, I immediately downloaded a 10k run training app. Did I ever think I'd be attempting to run 10k? NOPE.... but I didn't think I could / would care to run a 5k either! Yes... that's the same shirt (and kiddo mess) in each photo! This weekend is my birthday and I'm SO excited to be celebrating it by running the Graffiti 5k with some friends and family (my first "official" run!) - then spending the rest of the weekend surrounded by those I love. It's the perfect way to celebrate another year in the books - and the last 5 months of HARD work! Still a WIP..... but celebrating the wins along the way! Oh..... and because you're probably confused and thinking "I thought I was following the blog of a fabric addict / sewing mama!?" 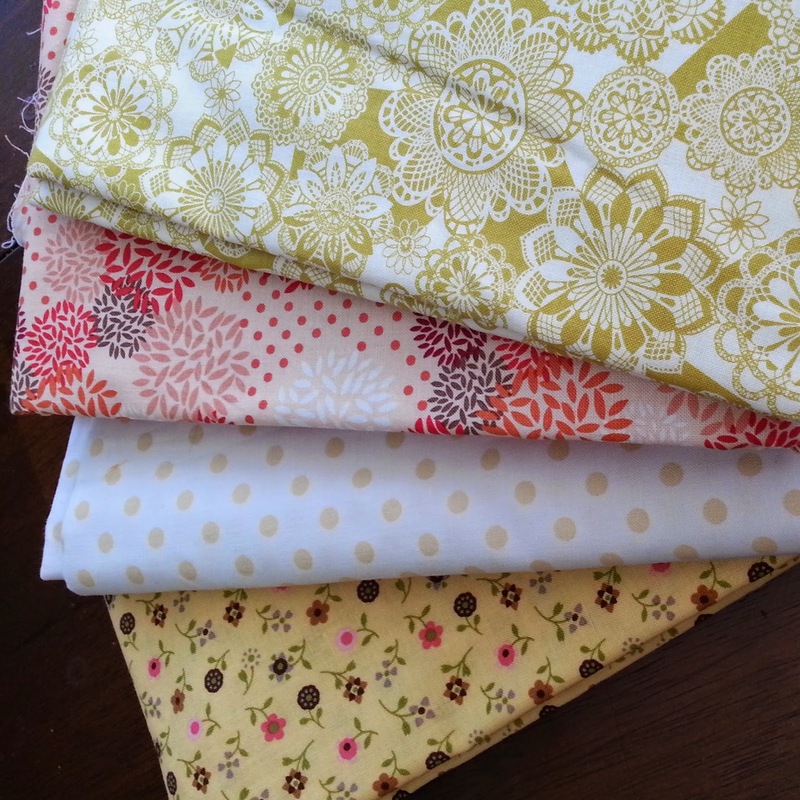 - check out these pretty fabrics my friend Alyssa from Calm and Carrion sent me the other day! So sweet! Riley Blake, Blend, Anthology... yum! I count these as a WIP too because I think they'll look really pretty all sewn up together - - - so I'm going to add them to my "fun" sewing list! Both WIPs are wonderful! Good on you for keeping at your running and going even further than you had ever thought you would. Lovely fabric choices too. Congratulations!!! That is wonderful progress for 9 weeks! (I've been working to get fit (and my goodness, it does take away from the sewing!!) for going on 10 months now, and am progressing much more slowly that you.